Exciting things are happening in the National Strategic Selling Institute! We are enjoying our new space in the College of Business, and our program is growing rapidly. Currently we are accepting sales certificate candidates for the fall recruiting class; 75 students applied for roughly 50 openings in the program. After this fall, we will have 150 students in the program, up from 122 in the year prior. We are on track to grow the Certificate in Professional Strategic Selling to 250 students within the next two-to-three years. Further, we have proposed a Sales Major that currently is working its way through the approval process. We have received departmental approval; the next step will be approval from the College of Business faculty. 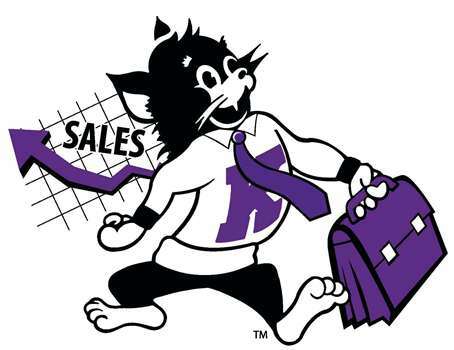 If all goes according to plans, the Sales Major will be in place for the Fall 2018 semester. Fall 2016 Sales Week was a big success. For the first time, we were able to hold all events in one place. Thirty-four companies were present at our Fall Sales Week Career Fair, held in the new business building atrium. For the first time, you could see the excitement the career fair generated because we were so visible; it was the talk of the building. Over 100 students competed in our 6th annual Edward Jones Sales Competition; the talent just keeps getting better each year. A few weeks later we hosted Textron Aviation for another sales competition in which over 60 students ‘sold’ a private jet. These competitions provide great experiences for our students, and allow recruiters to see the sales talent in action. 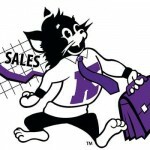 The K-State Sales Team has also been quite busy! We just returned from a trip to the International Collegiate Sales Competition in Orlando, where junior Rachel Kipper placed in the top 8 out of 138 students! Prior to that, the team competed in the Great Northwoods Sales Warmup in Eau Claire, Wisconsin, where senior Racya Doyle was chosen as school champion. This week we are heading to the Northeastern Intercollegiate Sales Competition in Rhode Island, and the following week we go to the RBI National Sales Challenge in Wayne, NJ. Senior Molly Young was the top senior and overall winner, and Jacqueline Clawson the top sophomore, in a new sales competition with NSSI Corporate Partner Huhtamaki that put us in a head-to-head competition with Missouri. Senior Nick Ramsey and junior Ashley Ebeck head to Houston next week as the K-State winners of the Schlumberger competition. Schlumberger is our newest NSSI Corporate Partner and selected K-State as one of the top four sales programs in the country. Nick and Ashley will be competing against students from the University of Houston, Ohio University, and University of Wisconsin – Eau Claire. In the spring we have several more sales competitions planned, as well as our annual NSSI Benefit Auction. If you are interested in learning more about our program or have any questions, please contact me at ddeeter@k-state.edu. We look forward to hearing from you!